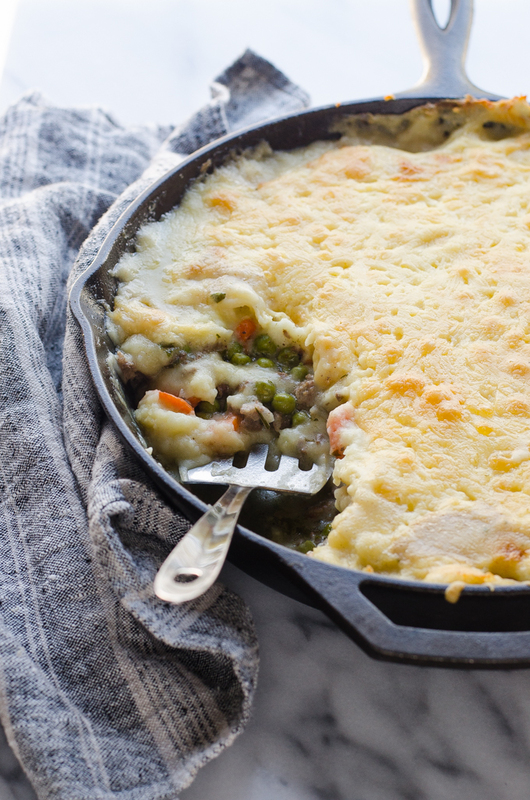 This Shepherd’s Pie recipe is the perfect meal for a cold evening. You know how there are supposedly 7 stages of grief? Well, when it comes to this never-ending winter, I feel like I’m somewhere between the depression and acceptance stages. We’ve hit that last leg of the season where it feels like it really will never end and there’s no point in even dreaming about spring. It will never happen. I mean, I know that warmer days are just around the corner. But my heart sinks when I look at the forecast and there’s nothing above mid 30s. I’m just aching to be able to let my kids run around and play outside again. 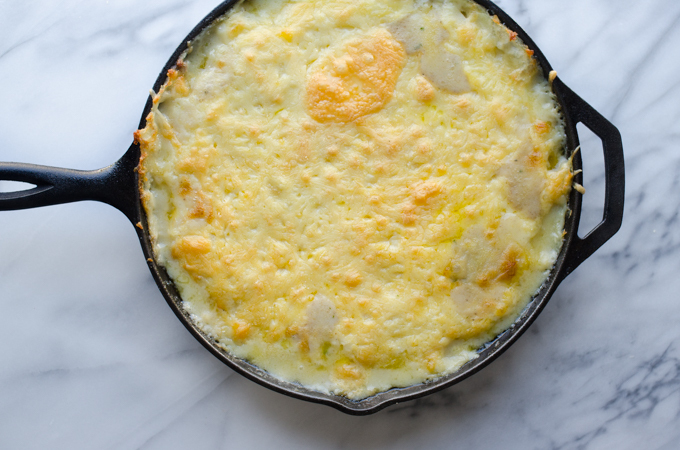 In the meantime, I’m going to keep this Shepherd’s Pie recipe in the meal rotation. After all, I have to remind myself that one of the perks of cold days is that hot, comforting suppers are oh-so-appealing. Before we dive into the particulars of this recipe, I have to make a confession: I never liked Shepherd’s Pie growing up. Mom would make it to use up leftovers, and it usually had green beans (which were not my favorite vegetable at the time). But once I gave it a try as an adult (and made some ingredient substitutions), I realized that it’s actually an easy and scrumptious meal. Also, my mom never put cheese on top of hers. Cheese makes everything (or nearly everything) 10x better. Am I right?! 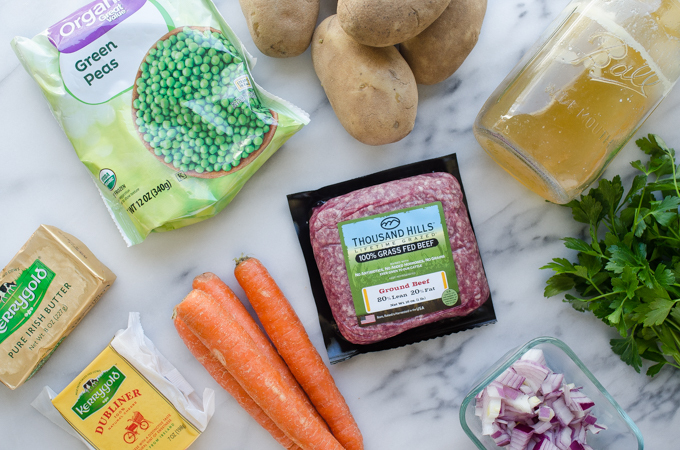 Here are the ingredients that I like in my Shepherd’s Pie: Ground beef, onions, carrots, peas, parsley, chicken broth (or beef broth if you have it), potatoes, and cheese (Kerrygold Dubliner is AMAZING). You’ll also need some milk and flour to make the sauce and butter for cooking and in the potatoes. 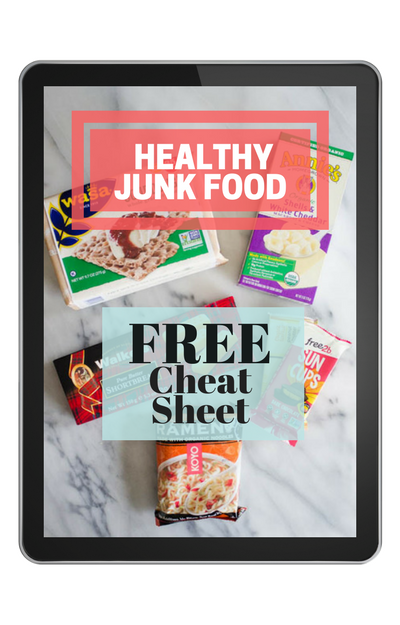 Definitely don’t feel bad about switching out ingredients if there are any that aren’t your favorite. 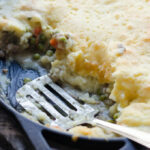 Shepherd’s Pie is easy to customize! 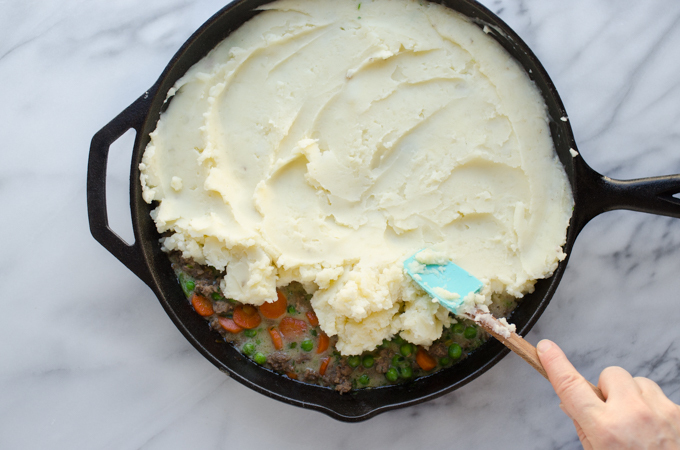 You can saute and bake the shepherd’s pie in the same skillet, or transfer the filling to a 13×9 pan – whatever you prefer! Make sure to spread the mashed potatoes over filling as evenly as possible. Top with a good heavy layer of cheese. You know the drill by now: serving with grass-fed butter is an absolute must. 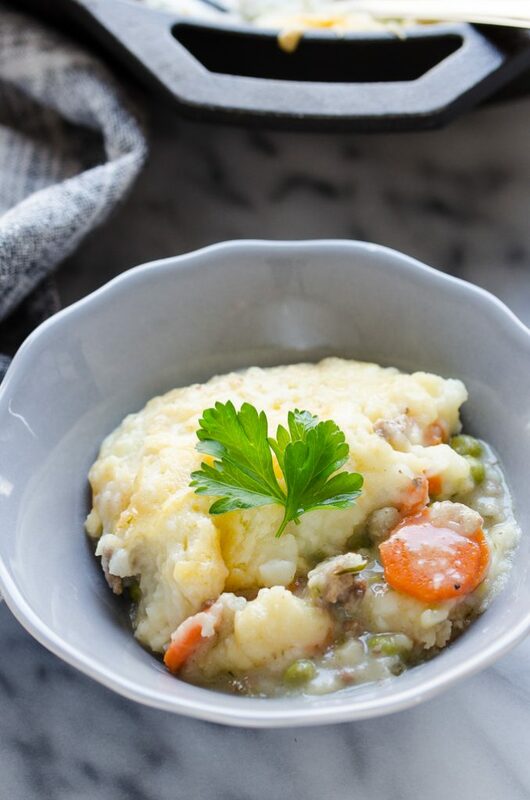 Shepherd’s Pie definitely won’t be one of the pretties meals you’ll ever make, but it sure is scrumptious. 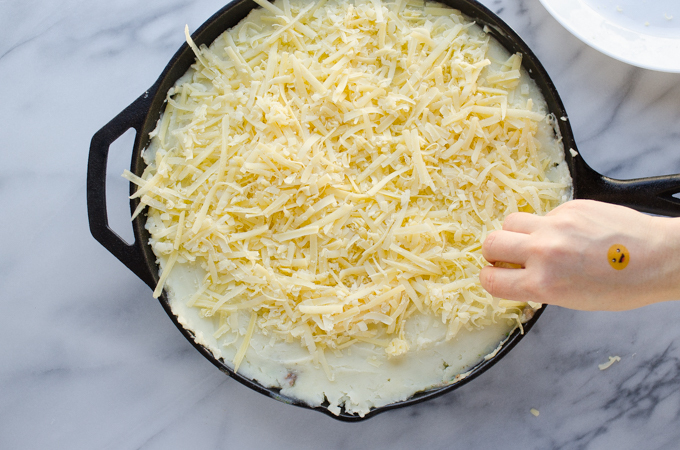 Did you eat Shepherd’s Pie growing up? Did you like it, or was it not your favorite? NOTE: Here’s a Whole30 (or lazy day) hack: leave out the sauce and use only the meat and vegetables as the filling. I’ve done this many times and it’s still delicious! 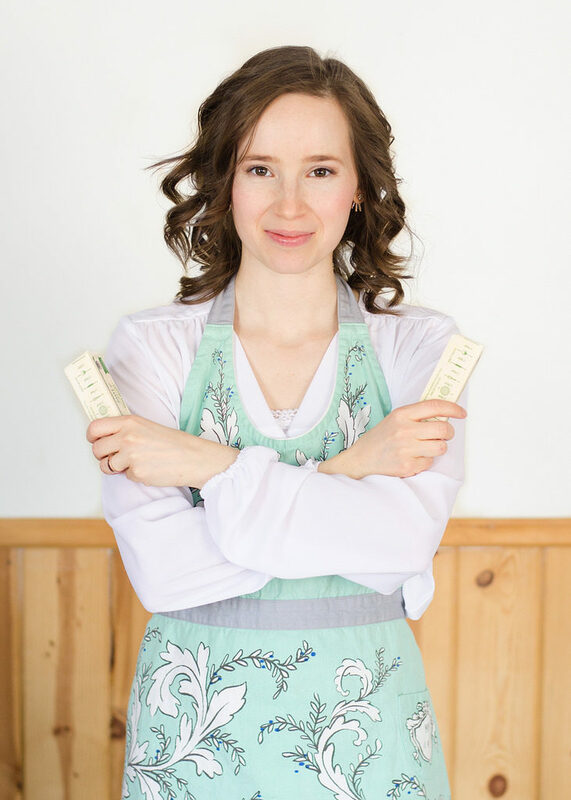 And of course you’ll want to use coconut oil instead of butter for cooking and in the potatoes, substitute potato water or coconut milk for the liquid in the potatoes, and leave off the cheese to make this Whole30 compliant. 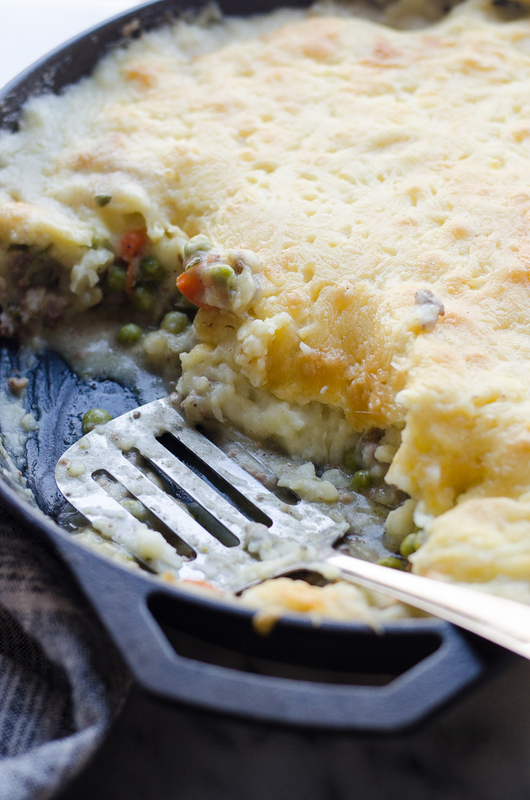 This Shepherd's Pie recipe is the perfect comfort food meal for chilly evenings. Place the potatoes in a saucepan, cover with water, and salt generously. Bring to a boil over high heat. Once the water comes to a boil, cover, turn the heat down to low, and cook for 20 minutes or until the potatoes are completely tender. Drain the water. Put the milk and butter in the pot, cover, and wait for the butter to melt. Mash with a potato masher. Taste and add salt if needed. Melt the butter in a large (12-inch) cast iron skillet over medium heat. Add the onions and carrots and cook until tender, about 10 minutes. You can cover the pan to make the veggies cook faster. Season with salt and pepper and remove from the pan. Add the ground beef to the empty pan and cook until no longer pink, seasoning with salt and pepper. Sprinkle the flour over the beef. Cook for 2 minutes. Slowly add the milk and chicken broth. Bring to a boil, stirring often, and boil for 1 minute. Stir in the peas and parsley. Taste and adjust seasonings if necessary. Either transfer the filling to a 13x9 pan, or keep in the skillet. Spread the mashed potatoes on top. Sprinkle with the cheese. Bake in preheated oven until the cheese turns golden brown, about 30 minutes. Serve with grass-fed butter. 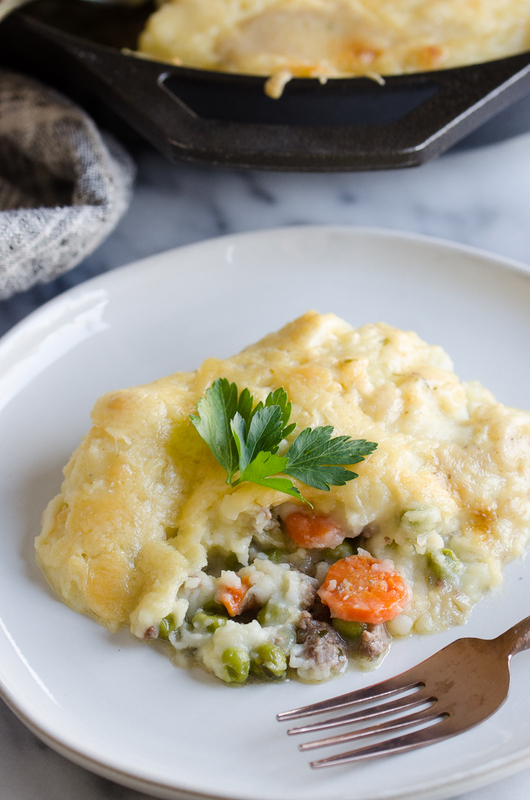 I haven’t ever made shepherd’s pie as my mom never did… but this gives me inspiration to try because lately I’ve been lacking motivation to cook! It looks like a good simple comfort meal….yum! And I’m just loving peas. 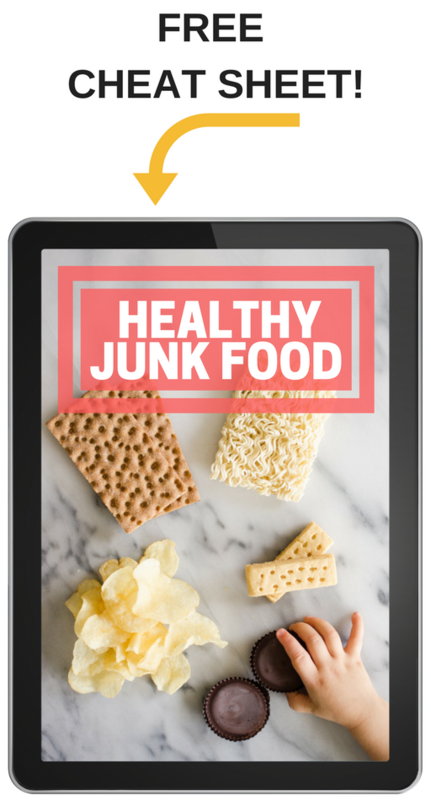 Also would add gelatin to sauce for example ra nutrition…. have you considered? I’ve been lacking motivation lately as well! So weird because this hasn’t happened to me in a long time. Great idea to add gelatin to the sauce to boost the nutrition! Thanks for the wonderful recipe. I made this for dinner last night substituting ground venison for the beef. Very good, the entire family enjoyed it very much. Yum! I didn’t really eat Shepherd’s Pie growing up, but I really like it now. My version is a little different. The vegetables we use are french cut green beans and corn. I don’t really like the corn in it. I prefer just the green beans. I am all about a “heavy” layer of cheddar on top! Ahhhh, now today you”re truly speaking my language, Meggan! I”m really interested to see you”ve added cream to your Shepherd”s pie. Now that would be one delicious shepherd”s pie! I”ll let you into a secret. Millions of Brits (including myself) grew up eating shepherd”s pie almost weekly, and most of us call it shepherd”s pie even if it”s made with beef (which it usually is). Your version looks and sounds amazing!